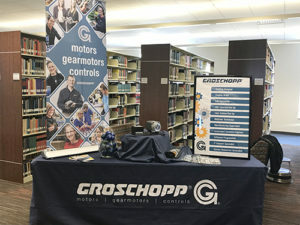 On Friday, January 5th, Groschopp participated in the 4th annual “Your Future at Work” event, hosted at Northwestern College in Orange City, IA. The “Your Future at Work” event is a career opportunity fair for local high school sophomores. 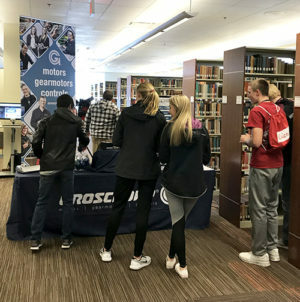 Over 500 high school students participated in the event, and two of Groschopp’s engineers had the chance to talk with several of these students about what a future at Groschopp would look like.